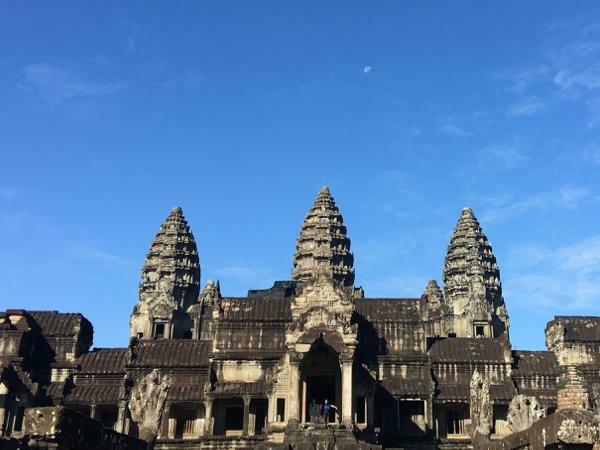 We absolutely love San and had the best time seeing the temples in Angkor with him! You can tell that he is passionate about what he does and truly enjoys it. He's funny, kind and extremely knowledgeable. We loved hearing about the history of each temple and also his own personal stories. He kept us hydrated and cool with these amazing eucalyptus towels throughout the day. We now have a new friend in Siem Reap and would highly recommend him! TOUR GUIDE RESPONSE: Dear Lisa, I would like to say thank you so much for your valuable time to write such a great review. Your contribution is really much appreciated and helpful. We are so happy that you enjoyed your holiday with our professionalism. Again, thanks for your support, review and recommendation. Thanks & Best Regards, Kamsan S.